A woman being accosted by floating hamburgers, a man with an eyepatch holding an abacus, and an astronaut feeding a horse in a harem costume may seem like scenes out of a dystopian sci-fi novel, but they are not. They are examples of the bizarre world of stock photos, where images are as ridiculous as they are useless. While these may be extreme examples, the fact remains that stock photos do not depict reality. They show a world of homogeneous families, smiling employees in offices, and couples frolicking on beaches at sunset. Consumers do not connect with these generic, out-of-touch images, and brands that use them risk coming off as generic and out-of-touch as well. Today’s consumer is blasted by marketing on all fronts and most of that marketing is easy to ignore, delete, fast forward and swipe past. For campaigns to stand out, they have to tell meaningful stories that catch people’s attention and engage them. Stock photos are the antithesis of those efforts. Content needs to be authentic for marketing campaigns to succeed, which is why user-generated content has emerged as a priceless resource. Internet users today generate and consume vast amounts of content. A Bazaarvoice survey revealed that over half of Americans trust user-generated content more than any other information on a company website. Eighty-four percent of millennials report that user-generated content on company websites has at least some influence on what they buy. Taking advantage of user-generated content not only helps brands build trust, but also creates a stronger connection between the brand and the consumer. When people see images on a website or in an ad campaign that are recognizable, the brand does not seem cold and faceless. It seems like a company that understands them — their life, likes and dislikes, and needs. This sense of understanding leads to engagement and loyal fans, as brands that leverage user-generated content have already experienced. Clothing brand Free People encouraged customers to upload Instagram pictures of themselves wearing Free People garments and integrated those images into the relevant product pages. For these campaigns, the company sent cards with hashtags to customers who bought specific types of jeans. For example, #fpsorbettiedye for Sorbet Tie Dye Jeans or #fpanklecrop for the 5 Pocket Ankle Crop. Those customers were then prompted to take photos and upload them to Twitter or Instagram with those hashtags. Pending approval, the photos showed up on those product pages. This campaign succeeded on a number of levels. 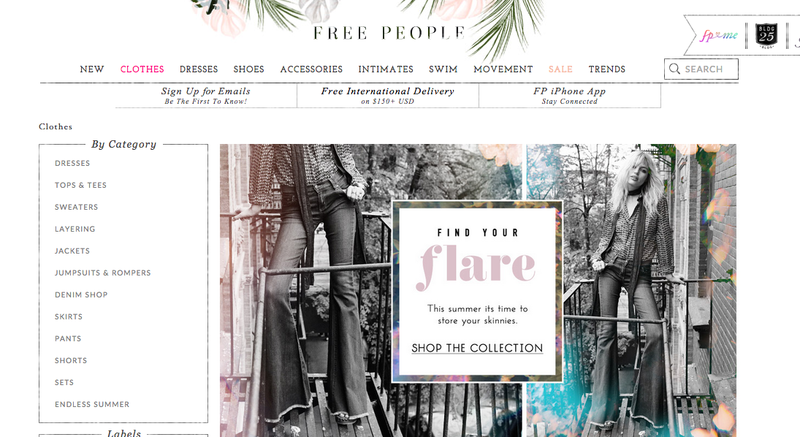 To start, Free People got fantastic photos of its products for free that made the brand seem relatable and trendy. It also allowed potential customers to see how the jeans looked in the real world before making a purchase. Furthermore, the campaign allowed regular people to be models. The prospect of being featured on the site generated excitement and made customers feel like they were active contributors to the brand, which drove them to engage on social media. In an effort to promote the photo capabilities of the iPhone 6, Apple recently deployed a “Shot on iPhone 6” campaign that features real photos taken by iPhone 6 users on print and billboard ads. According to AdWeek, Apple searched through tens of thousands of photos and will select images from 77 iPhone photographers in 70 cities and 24 countries. 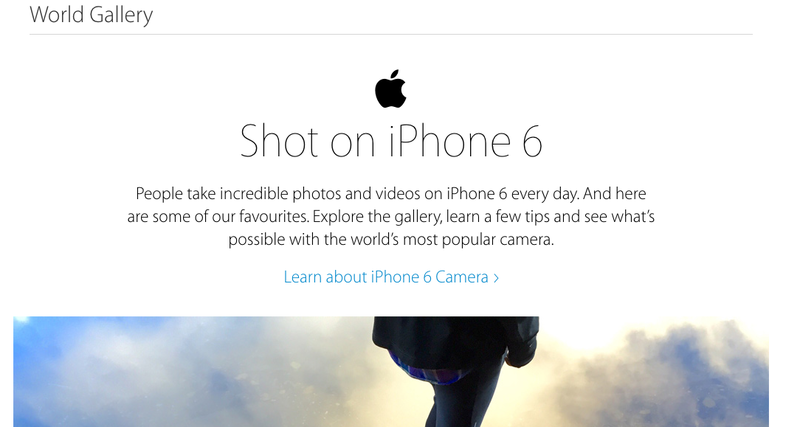 On the “Shot on iPhone 6” web page, Apple shares selected photos with credits and comments about why it was chosen. By recognizing the work of iPhone photographers, Apple expresses appreciation and gratitude for the people who use its products. The campaign sends the message that iPhone photographers produce work that is just as good as professional photographers and emphasizes the power and possibilities of the iPhone 6 camera. It also creates a sense of global community of iPhone photographers and positions Apple as a brand that fuels creativity. Furniture and home decor store West Elm recently launched a campaign that places photos from social media into Facebook ads. 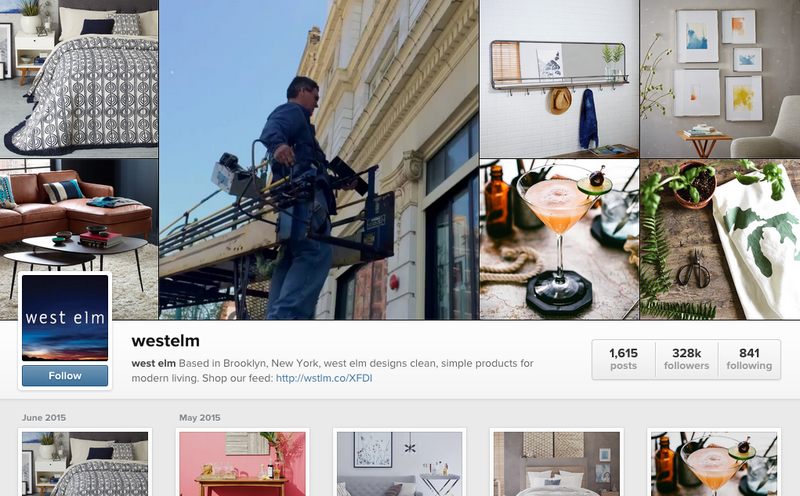 West Elm had an ongoing social media campaign called #MyWestElm which displays curated photos that real customers share of West Elm products in their homes. 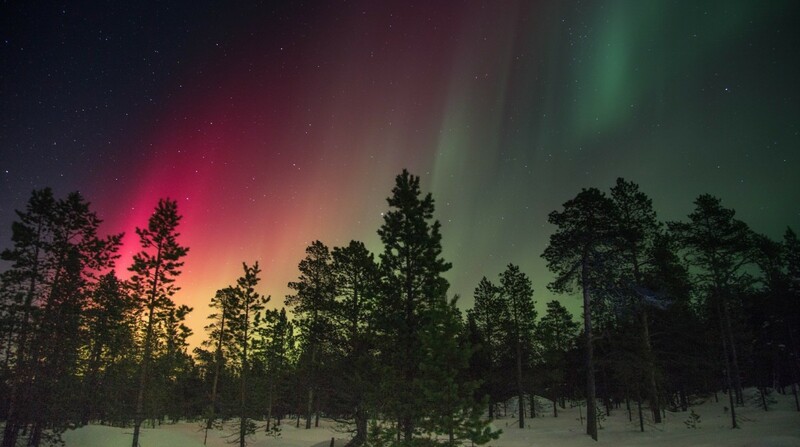 This campaign proved extremely successful, with 18,000 uploaded photos on a site that generates two million unique monthly visitors. Forty percent of West Elm’s product pages now include user-generated photos. These photos have been so well-received because they feel personal. Homes in the photos are actual homes — with pets, families, and a non-staged, lived-in aura that sparks a feeling of connection with the viewer. Like Free People’s jeans, customers can see a diverse portrayal of how products look in the real world. Last month, West Elm took this initiative a step further by working with a company called Olapic, which analyzes the #MyWestElm photos for which are most likely to perform well as sponsored ads on Facebook. Based on what products consumers have already viewed, the algorithm can predict which user-generated photo is the most likely to generate sales. Integrating user-generated photos provides a number of benefits. It is cost-effective, engages people on social media, strengthens the connection consumers feel to the a brand, and gives the brand a glow of authenticity and originality. The power of user-generated photos is making stock photos obsolete, and their death can’t come soon enough. The time for creepy, unfeeling, unrealistic stock photos has passed. Do you think stock photography is dead? Add your comments to the section below.